We love working on this site. Not only is getting outside with our kids something we’re really committed to, but writing about our adventures and thinking out what it all means makes the experience of raising our kids even richer. The other day Monkey’s Uncle said, “We should have a t-shirt.” He was right. Here’s our first idea. Hopefully we’ll have a dozen more by Christmas. 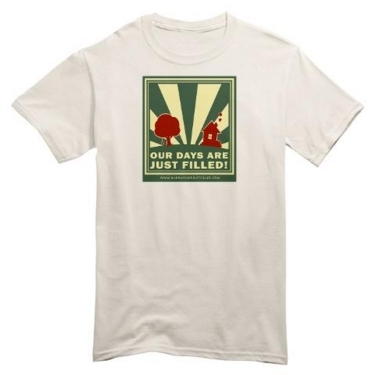 You can buy the shirt on CafePress. If you have any witty quip that would work on a t-shirt of a mug or something, let me know. We’ve had a couple ideas, but they kind of fell flat. And if you think this image would be better suited for something else on CafePress, I’d love to hear that too.